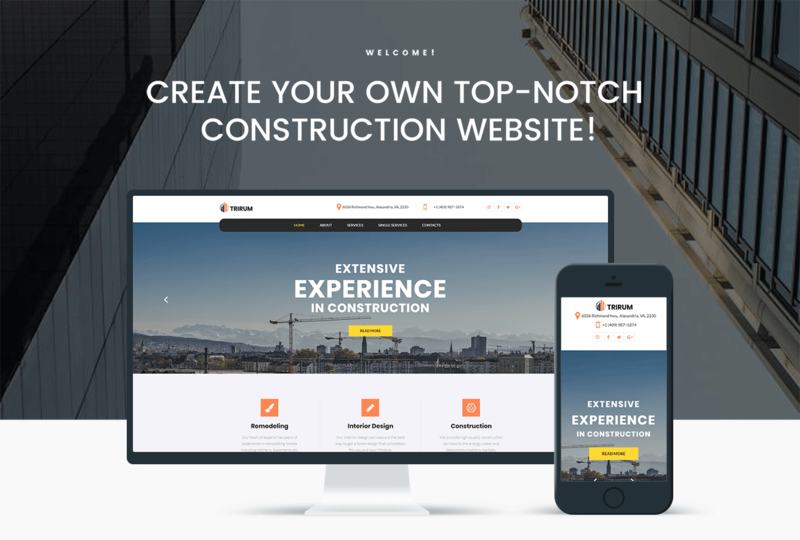 Trirum is a great solution for creating a website dedicated to construction services. 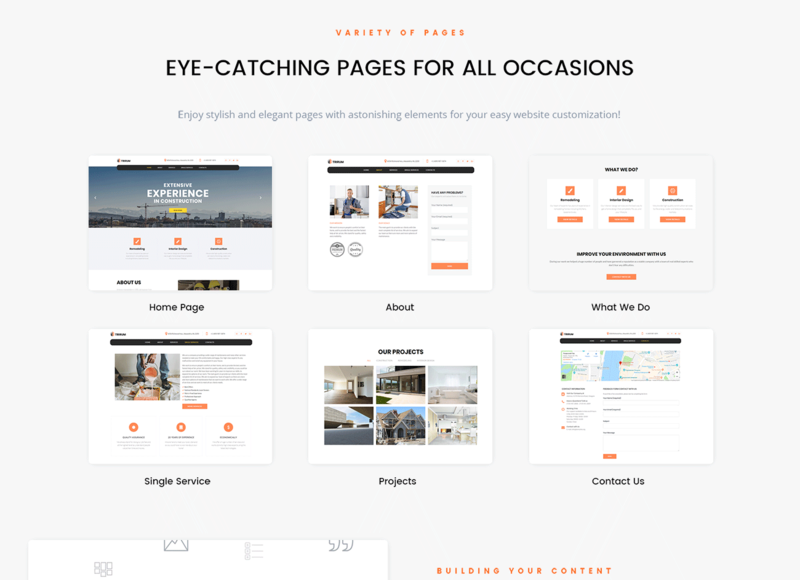 There are pre-designed pages, such as Home, About and Services, where you will be able to add needed information concerning your construction company and provided services. This theme has an intuitive interface and modern design, which will help to attract more visitors and potential clients. Moreover, with included strong Jet plugins toolset for Elementor page builder you will customize your website according to your requests and vision easily and quickly. With JetElements plugin you will enrich content with alluring, useful elements and style them as you wish. JetThemeCore plugin will allow creating custom headers, footers and special sections, also you will be able to select pre-made sections on different topics and insert them into the pages in a few clicks. You will use eye-catching animation effects and visual tricks to liven up your website and make it unique. You will implement additional functionality to headers and footers using JetBlocks plugin. 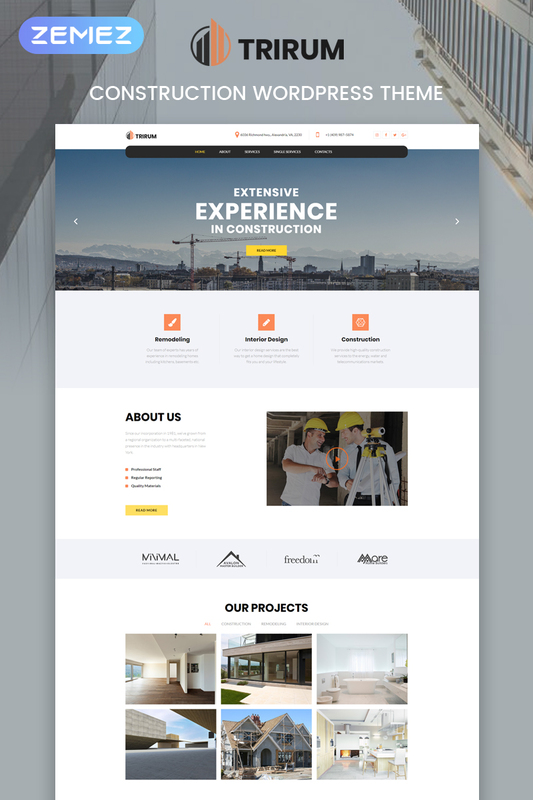 Your website will look stylish and modern and you will promote your construction company in the most appropriate form using a responsive Trirum theme.